Time for hot cocoa, warm fires outdoors, chunky sweaters and boots. and enjoy that sweet mingle between late Summer and early Fall. Mixed with wheat and natural grasses they are pretty much staples in my Autumn decor. Disclaimer: I am not traditional in Autumn decor by any means. Now...Halloween decor- especially for parties? That's another story- I love to get a little creepiness on for Halloween. But for today, I'm sticking with subtle. who are sharing some of the rooms of our homes decorated for Autumn. I did get some Autumn inspired decor done and photographed over the weekend. a natural wheat wreath. I love these and have placed them in several spots. The bedroom mantel gets a new look each year for Fall as well. Yep another wheat wreath on the mirror- love them. I know it's not the traditional oranges, yellows and reds. this week you are in for a real treat. 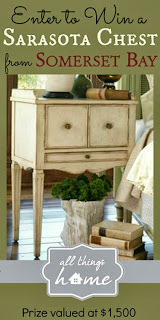 Enter to win this gorgeous hand painted Sarasota Chest in Crème Brûlée from Somerset Bay, a prize valued at $1,500. To enter, click on the Rafflecopter below and confirm you like Somerset Bay on Facebook. Yours is the first! (At least on my dashboard.) Your house looks great--with all your pale colors a lot of the traditional autumnal colors would be too jarring. Beautiful! As always, BEAUTIFUL! Happy Fall, Courtney! You've done a soft and lovely Fall in your home, Courtney! While the orange colors always say "Fall" to me, I find I am liking things toned down a bit more in recent years. Your décor appeals to me and it doesn't take over. Gorgeous Autumn at your home, Courtney! Oh. my. goodness!!! The eye candy here!! Girl...you are a genius. A photography, pink flower, little pumpkin, and even pheasants kind of genius! Love! I love your subtle fall vignettes! And that cedar box filled with dried roses is gorgeous. You are totally making me rethink my oranges and browns for fall!!! Gorgeous Autumn tour, Courtney. Love the flowers and Baby Boos! I luv your romantic approach to Fall decorating. This year, I too decided to walk away from the traditional and go with a softer side of Fall. Thanks for sharing your luvly home Courtney. These are stunning photos! I love your take on fall! Oh my!! Absolutely love love love all of the photos and your choice of decor!! Beautiful!!! Thank you for sharing!! Always a delight visiting your beautiful blog Courtney. Your mantle is just magnificent Courtney! I never thought of roses and pumpkins together in 1 mix but oh my, you pulled it off so beautifully!!!! Hi Courtney, Your home looks lovely. I love how you added some fall touches to so many spaces. Great to meet you on the tour! Oooh - it's truly beautiful, Courtney. You are a master at mixing so many romantic and muted fall'ish elements together. Just love it! Your house looks so pretty, Courtney! I'm not big into decorating for fall either. I like what you've done...marrying summer to fall with some subtle touches. It is absolute perfection dressed for fall in a simple and beautiful way! I love it. Courtney, love this little party. Yvonne is one of my favorite women on the planet. I've contacted Shari and we will send you the correct clickable button. Oct 1st beginning. What a gorgeous Fall Home tour! Every touch is perfect! Oh my! There's nothing simple about what you've done here. My word for it would be stunning! All of your images are beautiful, but I especially love the one of the ballet slippers with the white pumpkin below! Courtney- just beautiful, I love your romantic twist on the season. It's not traditional, but so very pretty in all its beautiful softness and femininity. Very lovely, Courtney. Beautiful, Courtney! I just adore how you mix summer with fall with all the gorgeous textures and colors! so welcoming and warm- i love the addition of pink into fall decor, too! Simple, elegant, gorgeous! Love it Courtney! Just lovely! Your floral arrangements are particularly beautiful, and all those dried flowers--so romantic! I'm a redhead, so I've always loved the flaming colors of Fall, but I think your home looks very pretty and autumnal even without those colors. Great job! Simply classy and gorgeous Courtney - just like you!!! I love all of the fall details you added to your home - the vintage pheasant is perfect on your mantel!! Love the mixture of florals with harvest fruit and pumpkins! 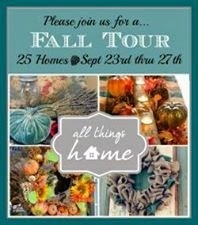 Thanks for sharing your fall home tour with us! I couldn't wait to see your Fall home tour, Courtney and I was not disappointed. I love the way you do fall...you're a girl after my own simple loving heart. I love your subtle style and it is especially lovely for fall. This is a great look for an area where the season's changes are also subtle. You have such a way with flowers... and now pumpkins. So ethereal and like a fairytale! 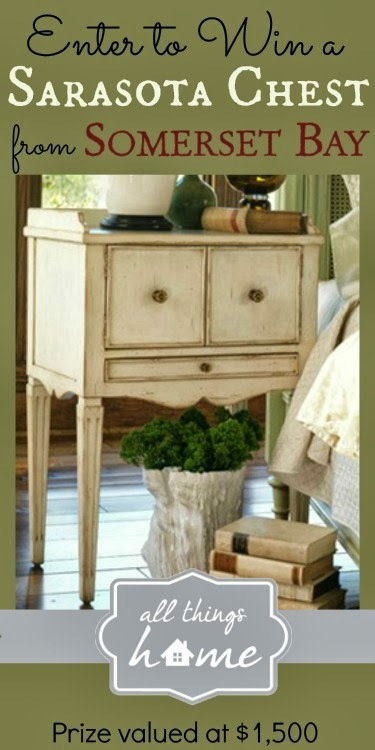 Your artistic eye for beauty and mixing natural elements with simple or luxury things is amazing! LOVE the tour! It all looks beautiful Courtney, I like a nontraditional look too. Your home is always so soothing to the eye, Courtney. Everything beautiful and elegant but still so warm and inviting. GORGEOUS Courtney!! I love the acorns in the teacups. Courtney I love it all! So soft and pretty. Who would think of the bathroom? That is just elegant. I am with you - not a big fall decorator - maybe it is the orange thing! I like some soft white pumpkins and naturals. Your home is extremely gracious...I have so enjoyed this tour. Looking forward to coming back again soon. As usual, the photography is amazing and your home gorgeous! I always love how you effortlessly fill your home with flowers that welcome us every time. Thank you for joining us on our tour! Courtney, I love it all. That last photo is my fave.